Put some zip in your cooking! Our grilling marinades will add a distinctive flavor to meat, fish and poultry. 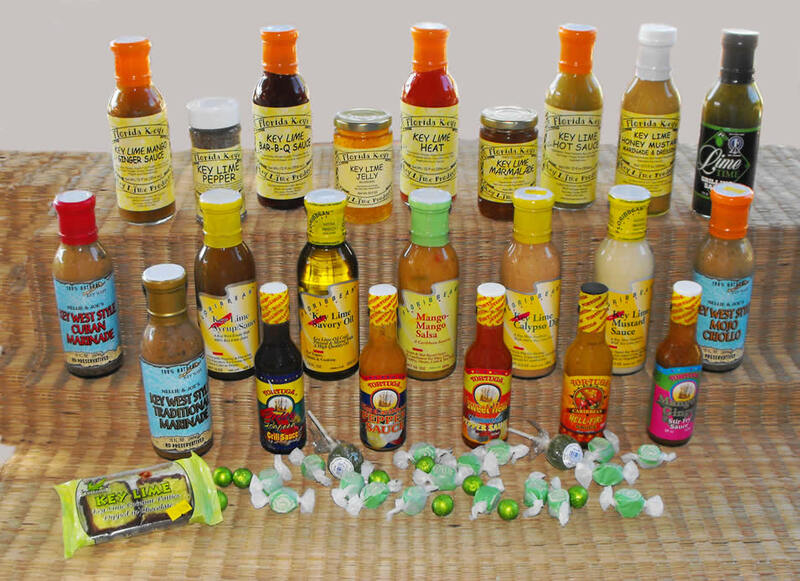 If you love wings - we have some sauces that will add some real heat. For pasta and salads - our dressings will give your dishes a great new zest. Toppings for ice cream and fruit - new tastes! The classic Sauce for Stone Crabs. Use as a marinade and basting sauce for all meats, pork, poultry and seafood. Exotic condiment for burritos and fajitas. From Nellie & Joe's, this is all-natural and great for chicken and seafood marinade. Use as a sauce for tossed salads and pasta. Tangy Key Lime and succulent sweet mango - what a unique taste! Great for Key Lime pies! Great for salads, any white fish or chicken. All Natural. Shake Carefully! Add this to your wings if you dare. The unique tang of key lime adds a subtle flavor to meat and fish. Zesty and unique - this is heaven sent for the grill! Try this with pork Chops and drive the family wild. Veggie dip & salad dressing. Add to your wings for a zippy sauce!